Logo-print hosiery has fast become the easiest way to pledge allegiance to your favorite brands. 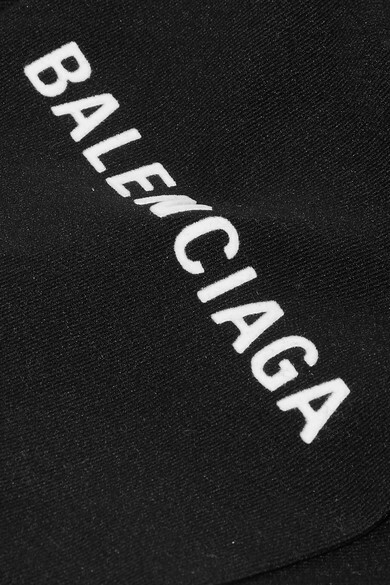 Balenciaga's tights have the label's moniker emblazoned just above the ankles in clean white lettering. 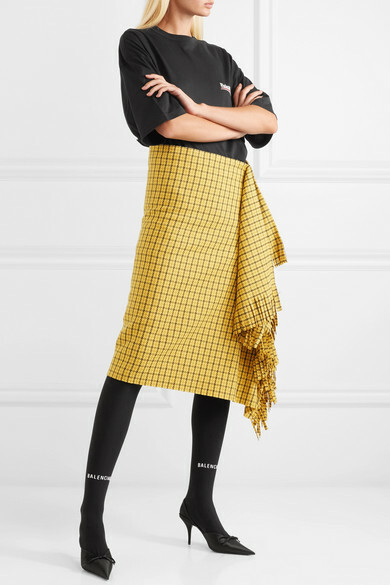 They'll go with just about anything, but try yours with a midi skirt. Shown here with: Balenciaga Skirt, Balenciaga T-shirt, Balenciaga Pumps.